During the Vietnam War, the Viet Cong usually waited for the sun to go down before it did anything. And for good reason. The guerrillas could move weapons and supplies and attack American troops without having to worry about air strikes. “Actually, our night missions are not very effective in stopping the flow of men and material,” the briefers added. Desperate to erase the Viet Cong’s nighttime advantage, the Air Force converted cargo planes into giant, flying lamps that, in theory, would bathe whole square miles of the battlefield in bright light. But the heavily-modified cargo-haulers proved to be too expensive and complicated to reliably turn night into day. In the early 1960s, American pilots had few options for seeing in the dark. U.S. Navy and Air Force fliers popped flares, hoping the brief, incendiary light would help them to find insurgents under dense jungle canopy. The lower crews flew while trying to take advantage of the flares’ fleeting light, the more likely they were to accidentally collide with the ground. Moreover, flares could be dangerously confusing … for the pilots. In one 1954 study, a.k.a. “Project Night Owl,” the Air Force found that a quarter of F-86 pilots became disoriented after launching a flare. As part of a crash program dubbed Operation Shed Light, the Air Force proposed modifying cargo planes to carry banks of powerful lamps. The planes would provide a steady stream of light. In April 1966, LTV Electro-Systems delivered the first prototype of this Battlefield Illumination Airborne System, or BIAS. At the core of the 7,500-pound setup were 28 Xenon arc lamps. Unlike common incandescent bulbs, a carbon-arc arrangement produces intense light by shooting a bolt of electricity between two electrodes. The basic technology dates back to the 19th century. In addition to the lamps, the LTV kit included a generator, control station and heat sink. The last item was especially important, as the lamps could easily overheat. Given its weight and size, the Air Force installed the BIAS gear inside a modified C-123B airlifter. The lighting equipment replaced the rear cargo door. During tests at 12,000 feet, the aircraft shone like a full moon across three-and-a-half square miles. Dropping down to an altitude of 4,000 feet, the crew could get 10 times that illumination in a half-a-square-mile zone. The closer to plane got to the ground, the more intense the light would be on the target. Rather than trying to drop a flare in the right area, the crew could tilt the lamp to the side and fly in a circular orbit, keeping a bright cone pointed directly at the desired spot. Data in hand, the Air Force sent the unique C-123 off to South Vietnam. In the field, the results were … less spectacular. The biggest problem was that the lights made the aircraft an equally huge target for Viet Cong anti-aircraft gunners. So the flying branch’s engineers went back to the drawing board. One of the easiest fixes was to simply get rid of the visible light. The Xenon lamps could produce infrared rays, too. This would help to hide the plane and prevent insurgents themselves from taking any advantage of the illumination. With an appropriate scope, pilots or troops on the ground could still see the beams. The Air Force’s other idea was to load a plane with infrared and night-vision cameras, powerful radars and other gear to help guide fighter-bombers. As far back as World War II, similar radar-equipped pathfinders had led fleets of bombers to their targets. The new project quickly ran into problems. First proposed in July 1966, the Hunters wouldn’t arrive in South Vietnam for at least another two-and-a-half years — and that was being optimistic. Air Force chief of staff Gen. John McConnell signed off on a plan to build 11 of the modified C-130s, but progress was slow. More than year after the project kicked off, LTV was still building the first prototype — with the BIAS lights only. According to a declassified status report, the Texas-based contractor said it would have the plane ready by December 1967. At that time, the Pentagon had approved more than $26 million — $150 million in 2016 dollars — for the program. The Air Force internally debated the cost and competing projects. In a June 1967 message, McConnell’s office pointed out that there just wasn’t enough money to put all the other sensors into the new C-130s. The flying branch’s top officer didn’t want to steal funds from other projects to speed up work on the Hunters. Sensors for fighter-bombers and other specially-modified cargo-haulers took precedence. On top of that, C-130 aircraft were already in short supply due to demand for the planes as both regular transports and new, heavily-armed gunships. To free up Hercules for other duties, the Air Force considered turning older C-119s into smaller gunships. “If night infrared and/or flare capability is urgent requirement, suggest re-evaluation of … priorities in attempt to obtain desired capabilities with Hunter I,” the chief of staff bluntly stated. Unsure of what to do, the Air Force muddled along. LTV did finally put together at least two of the Hunters, now renamed RC-130Ss. Like the original C-123 light ship, the design included large heat-exchangers on the front of the fuselage to keep the lights cool. The planes got the same camouflage-over-black paint scheme as early AC-130 gunships. But the idea of a dedicated night-hunter was fast falling out of favor. As the gunship concept proved itself time and time again, the Air Force canned more and more Operation Shed Light spin-offs. 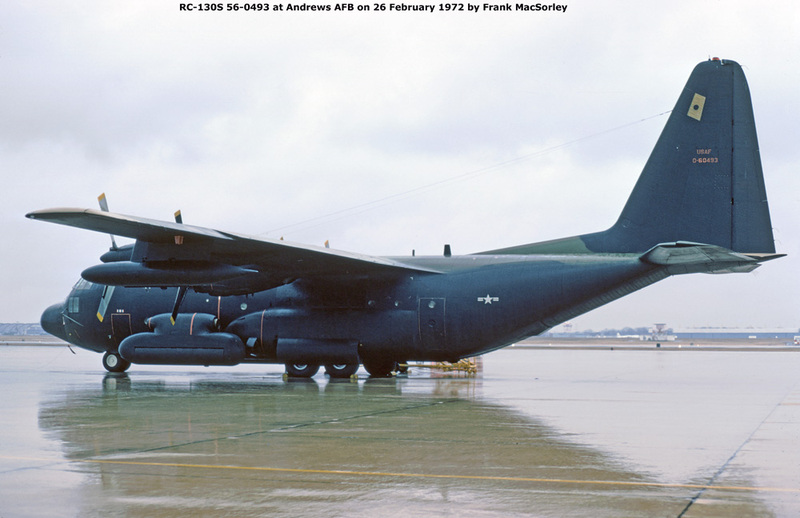 As AC-130s got additional radar and night-vision equipment, the RC-130S would have been an especially attractive target for cost-cutters. Why would anyone want a plane with the same sensors that couldn’t also blast the enemy? In the end, the Air Force turned two Hunters back into regular cargo planes. In 1990, both aircraft wound up at the boneyard at Davis-Monthan Air Force Base in Arizona. The competing AC-130 gunships continued to fight in Vietnam and in 2016, new versions were still blasting away at enemy troops.